The 1.6-liter diesel from BMW will make the Verso more competitive in the compact minivan segment. NICE, France -- Toyota expects the majority of future Verso sales in Europe will be versions equipped with a BMW-sourced diesel engine. The Japanese automaker, which is the world's No. 1 seller of gasoline-electric hybrids, is strengthening its diesel lineup in the region where about half of new vehicles sold use the powertrain. The Verso compact minivan sold in Europe now will be offered with a BMW-sourced 1.6-liter diesel. "The new 1.6 D-4D will be by far the most popular engine in our Verso lineup," said Fabio Capano, Toyota Europe's product communications director. "We plan to sell more than 25,000 a year." This year, Toyota expects to sell 44,000 Versos in its European markets, which include Russia and Turkey, up from 39,320 in 2013. Capano declined to comment on reports that Toyota will also use the BMW diesel in its Auris compact hatchback and RAV4 compact SUV. Up until now, the Verso only has been offered with Toyota's 2.0- and a 2.2-liter diesels. Capano said Europe's compact minivan segment is dominated by small diesels, with 1.6 variants ranking as the best sellers in the segment. Toyota considers the 1.6 D-4D's main diesel rivals to be the 1.6 Citroen C4 Picasso, 1.5 Renault Scenic, 1.6 Volkswagen Touran and 1.6 Ford C-Max. 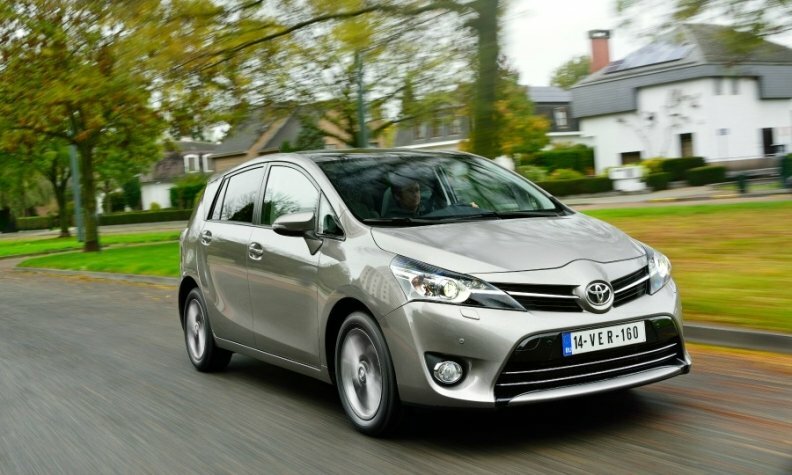 Toyota builds the Verso at its plant in Adapazari, Turkey, while the 1.6-liter diesel engine comes from the BMW's factory in Steyr, Austria. Capano says the BMW engines will only be fitted in Versos sold in Europe. BMW offers the 1.6-liter engine in its 1-series compact hatchback and the outgoing Mini Cooper D. Toyota made some changes to the engine for the Verso. "Several key components, such as engine mounts, intake, cooling and fuel systems, had to be re-developed to ensure the mechanical marriage between the engine and the vehicle," Mehmet Kilic, Toyota's project manager responsible for the Toyota/BMW engine integration project, said at a press event at the automaker's European design center near Nice, France. One of the main developments was the engine control unit, Kilic said noting that Toyota also had to re-develop the Verso's existing six-speed manual gearbox, drive shaft and dual-mass flywheel. Toyota says the diesel engine supply agreement with BMW is the first step in medium- to long-term collaboration between the two companies on next-generation environmentally friendly technologies. The companies have said they also plan to work together on development of a fuel cell system, joint research into lithium air batteries, the creation of lightweight vehicle body technologies and possibly the joint development of a sports car platform. Toyota has said the agreement does not include any supply of BMW engines to the Lexus premium brand.